Sue LaNeve, friend and author of SPANKY: A Soldier’s Son., tagged me to be the next stop on The Next Big Thing Blog Tour, a sort of chain letter for authors. This tour provides a chance for readers to get to know various children’s book authors and illustrators through their blogs. Google The Next Big Thing Blog Tour to see where this started and how many authors have participated. Stay tuned to meet other authors along the way. The working title of my next book, which is the third book in a ‘Tween series, is FIREWORKS! I was lucky enough to land a publisher who loved my first book, GET PSYCHED, and wanted me to do a series. The second book is called PSYCHED OUT. It was released in late February of this year. The psychic part came from my experience as a magazine writer. I’ve interviewed several psychics, or intuitives as they prefer to be called, over the years. All of them hated their gift when they were young. They didn’t want to be different, and being psychic isn’t the norm, even today. When I decided to try my hand at writing novels for teens, it was an easy decision to blend the two things I found most fascinating into the theme of the story. FIREWORKS! introduces a new character (Matt) with another gift—the power to see auras. That inspiration came from interviewing a young teen with this ability. He was reluctant to talk about it, which validated, for me, what the others had said about their childhood years. Naturally, Matt and Zoey are attracted to each other. This should be an easy answer, but it isn’t. Initially I thought the books were Young Adult since the protagonist is fifteen, but the audience they seem to be attracting is more ‘Tween. The publishing industry doesn’t always recognize ‘Tween as a category, so I’m stuck somewhere between Middle Grade and Young Adult. If they were younger, I’d choose Kirsten Dunst to play Zoey (though she’d have to wear a curly red wig!) and Eliza Dushku as Becca, Zoey’s best friend. They were both great in Bring It On! But for today’s youth, I have no idea. I wouldn’t mind if they used my granddaughter and her team for the cheer competition scenes, though! Zoey Christopher is attracted to Matt, the new guy at school, and when her best friend gets kidnapped, Zoey finds herself needing Matt’s help and falling hard for him. Who is publishing you book? Bookworm Publishing Company. (http://www.bookwormpublishingco.com/) I am so grateful that they saw the potential in this series. Zoey and GET PSYCHED were languishing in my computer for a few years until fate intervened. This is kind of cool actually. The owners of Bookworm Publishing Company also produce magazines for the Cheer Industry. I met them at a National Cheer Competition while watching another of my granddaughters compete. They loved the book and took me on. Kismet! Since I work with a critique group and like to do a lot of editing during the writing, it takes me about a year to complete the first draft. But since I edit along the way, the rewrites aren’t as agonizing as they could be! I’m just as bad at this as I am at picking actors for the movie version. I do know that when I first started writing this series, about six years ago, I was influenced by Meg Cabot’s novels. I love her quirky protagonists and the run-on sentences. GET PSYCHED has a lot of them. FIREWORKS! not so many. The more I write, the more my writing changes. The what is answered in the second question. The who? I suppose all the novelists I’ve read through the years from Laura Lee Hope’s THE BOBBSEY TWINS, to Suzanne Collins’ THE HUNGER GAMES. I love retreating into the fantasy world of books and I wanted to share that love with kids. It’s short (around 40,000 words), fast-paced, with a cliffhanger ending most chapters. When I visited a Middle Grade school recently, I noticed that short was very important to the kids knows as “reluctant readers”. My books fill that bill. Case in point, one of my younger readers wrote this on my Facebook Fan Page: “want to read all your books they sound so interesting and they are mostly girly.” I remember Ashley. I met her at a recent school visit. At the time she told me she doesn’t like to read, so this particular “review” was endearing. I met this next fan at my nail salon. She was waiting for her mom to get finished. She looked bored and I had be book with me, so I asked her if she’d like to read it while she waited. I said she could give it back if it didn’t interest her, otherwise her mom could buy it from me. She wrote this on my fan page. “O.M.G! This book was amazing! I just finished it. It is my favorite book ever! But i really want the 2nd one too! If u don’t remember me im madison from when i met you from the nial salon Nails Place on December 31st.” So, I guess I could say that the book is amazing. And yes, I made no spelling or punctuations changes. Just copies and pasted. You gotta love today’s kids. This was great fun. Thanks, Sue LaNeve for tagging me. You can read Sue’s blog at http://quirkandquill.com/2013/03/04/the-next-best-thing-blog-tour/. If you have or know a young teen that would enjoy a G-rated novel, then I hope you point them to the GET PSYCHED series. Both books are available at http://www.amazon.com/Get-Psyched-1-Janet-McLaughlin/dp/0615686729/ref=sr_1_1?s=books&ie=UTF8&qid=1362919443&sr=1-1&keywords=get+psyched. I am tagging Marley Gibson, author of The Ghost Huntress Series. 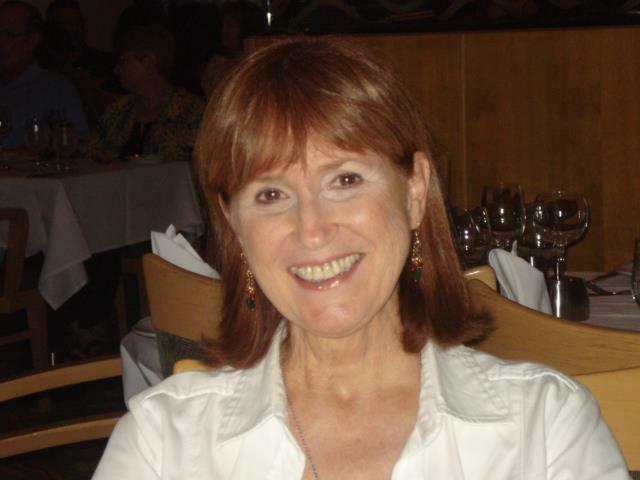 Writer, editor, and teacher, Janet McLaughlin has been involved in the communication field most of her life. She is a member of the Society for Children Book Writers and Illustrators and the Florida Writers Association and is an avid fan of cheerleading competitions, especially those involving her grandchildren. She lives in Florida with her husband Tom. Her other passions involve tennis, walking, traveling and meeting people. Psyched Out is her second novel.